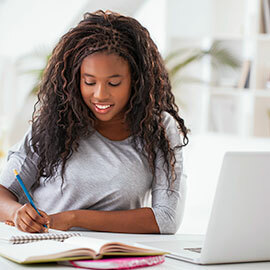 Writing experts from Wilfrid Laurier University, the University of Guelph and the University of Waterloo have released a free online writing resource designed to support students with their academic writing. WriteOnline.ca enhances Laurier’s Writing Centre services. It will be accessible at all hours from anywhere in the world, meeting the needs of not only university students, but also anyone interested in accessing the learning module. WriteOnline.ca provides users with information about three academic writing styles: case study reports, lab reports and reflective writing. Each learning module provides writing samples, videos, worksheets and important questions to help writers work through their project. As well, a Writing Practice tool provides guidance to students as they begin writing their drafts online. Develop strategies for planning, researching and writing specific academic assignments. Analyze assignments to identify disciplinary expectations. Use sources effectively and in accordance with conventions for academic integrity. Identify and practise basic conventions for English grammar and language use. A team of developers from the University of Waterloo designed WriteOnline.ca so that it is accessible, streamlined and easy to navigate. The development of WriteOnline.ca was supported by the Ministry of Training, Colleges and Universities (MTCU) as part of its Ontario Online initiative. Funding for this project was administered through the Council of Ontario Universities (COU) and provided through the Shared Online Course Fund from the MTCU.